Today we celebrate the Epiphany of the Lord. As a child, I referred to this time as “Little Christmas”. I had mixed feelings about the celebration because it meant taking down the Christmas tree and putting away the decorations, etc. for another year, so it made me sad. But I was also pleased because it was a happy occasion when the Baby Jesus was honoured by the three Magi who brought important gifts for Him. These three men named Caspar, Balthazar and Melchior came with joy in their hearts to visit the Christ Child bringing gifts of gold, frankincense and myrrh. The gifts themselves were not practical ones – though when Joseph took Mary and Jesus and fled to Egypt, they were easy to transport and could be sold to provide their livelihood. In religion class in high school, I learned that the gifts were themselves rich in symbolism. Gold was the sign of kingship. Kings were crowned in gold, so gold was representative of Jesus’ kingship. Frankincense was an acknowledgement that He was God – representative of a divine birth. Myrrh was a symbol of the human nature of Jesus. Myrrh was an oil used in preparing the dead for burial, so it symbolized the death Jesus would suffer later. Reading about the Epiphany makes me think of gifts….. both giving and receiving. I appreciate the gifts I have received and also appreciate the joy that comes with giving gifts to others. It also reminds me to think about how we use the gifts we receive. I think, “Am I being the mother and wife that God intends? 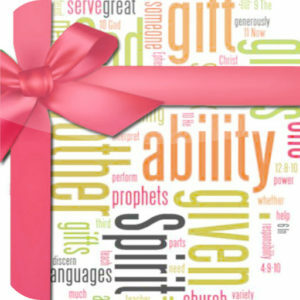 Am I using my own personal talents to the fullest extent?” The gifts of the wise men allow us to ponder our own gifts; those given to us by God, which we share with our family, our community, and in our workplaces. The beginning of a new year is a wonderful opportunity for us to seek God afresh in our lives. May we all be blessed with a deepening gift of new vision, appreciation, and thankfulness, as we move out along the fresh pathway of 2019.